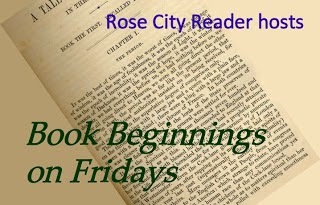 Book Beginnings is a weekly meme hosted by Rose City Reader. Post the opening line(s) of the book you are reading and give your first impressions. "There's no such thing as monsters." he tells her. The girl screws up her nose. "Look anyway. Please." She hugs Hoppy Bunny right as her dad slides sideways off the bed and onto the floor, pulling the duvet to one side and peering into the shadows. Even at five years old she knows that grown-ups can't be trusted with this stuff. They aren't clear about what is and isn't in the dark. "I am absolutely, totally sure there's nothing under your bed." "It's okay." He grabs the clothes. "Nothing to worry about." He pushes them aside and peers into the back of the wardrobe. "Just clothes, no lions or witches." Her eyes widen. "Did you think there would be?" "No. No... I was just being silly." He sits back on the edge of her bed. "There's nothing there, darling." This book kind of got lost in my TBR pile. I think it is going to be heart wrenching as it is about a college student that is kidnapped and brutally murdered. The family lives on, but how does one move on from that? I love these kind of stories. They usually give me hope that even when the worst happens people can and do live through it and become stronger because of it. I will officially start this book when I get home tonight. Girl Who Read is an Amazon advertising affiliate; a small fee is earned when purchases are made at Amazon through the above link. A free book was provided by the publisher. I love the beginning because it's so recognizable. When I was babysitting I had to check under beds as well and I sometimes still worry what could be hiding under there!! 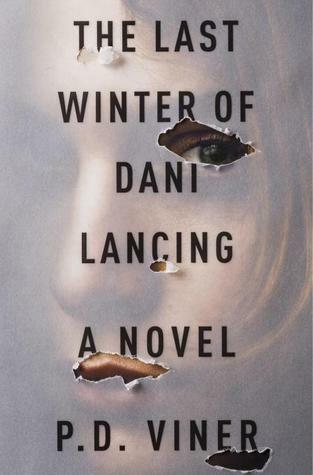 The cover for this one was pretty creepy already, but then I read the blurb and now I want to read it! Thanks for sharing :) Have a great weekend! I love the beginning but I'm definitely going to be passing on this. I'm a chicken when it comes to kids the same age as my kids being brutally murdered! That being said I hope you enjoy it! That's a great beginning that portends scary things to come. This sounds like a book I'd enjoy. Here's the link to my Friday post: The Merry-Go-Round. Sounds really interesting. I will have to check it out on Goodreads. The beginning sounds like it would be a light read, but apparently not. I don't think I will read it...too scary.